For so long I have wanted to go to the John Street deli, it's been a long an arduous battle finally getting the opportunity to visit here. We to need to go back 4 years, when I first started going to breakfast with my mate Damo , we would often meet up for Saturday morning brekkie in Limerick city, going for coffee and sausage rolls. 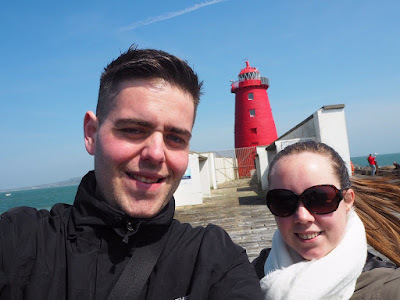 Then all our worlds came crashing down when we both had to move to Dublin, so with no Damo in Limerick on weekends especially when I came home I ended up going for breakfast with my brother Steve and his girlfriend Sarah. We decided on somewhere new, and that was Frenches, and 3 years on its still our go to place for breakfast when I am home. HOWEVER, that all changed this weekend for the first time since I moved away, the tradition was broken when I suggested a visit to the John Street Deli. Lets just say it wasn't welcomed but I want change and now was the time to perform the breakaway to the disdain of our little breakfast club. I digress, we arrived to the deli at 11.15 Saturday morning, me hoping " Please god let this be good" or I was going to get it in the neck if it wasn't. There was me, Steve, Sarah, my mate Pa and Joanne who was down home with me this weekend. I will stick to mine and Joanne's reviews for this post, I ordered my usual at a greasy spoon cafe being scrambled egg and 2 sausages with coffee, Joanne ordered a mini breakfast consisting of 1 sausage, 1 rasher, 1 egg, beans and fried potatoes. Also Tea and toast came in abundance with the breakfast. The scrambled eggs were perfect and just how I like them in the same manner of french style scrambled eggs, I much more prefer them than scrambled eggs done in a frying pan like an omelette. The sausages were good, but a little greasy but they had a nice flavour and seemed to have a high content of pork. The breakfast was pretty good and for 7 euros its excellent, only downside for me at least was the coffee was very weak but thats because I am a coffee nut at this stage as you can tell from previous posts. Joanne found the breakfast very tasty and great value for money as her breakfast with tea and toast came to 4.99 euro. She came away stuffed which is always a good thing. We loved especially Pa , he ordered the mega one for 6.99 and it was huge, he was visibly stuffed by the end!. I would definitely return here, it's excellent value for money and damn good food. A final note would be for how nice the staff are, they even noted that they hadn't seen us in before, so they must get a lot of regulars coming in. 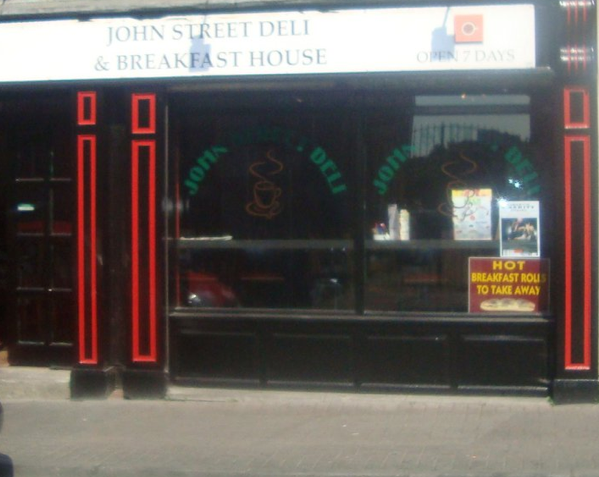 If you are looking for a good value and tasty breakfast get down to John Street Deli, Limerick.